And Jesus said to them, “Follow me and I will make you fish for people.” And immediately they left their nets and followed him. As he went a little farther, he saw James son of Zebedee and his brother John, who were in their boat mending the nets. Immediately he called them; and they left their father Zebedee in the boat with the hired men, and followed him. 1. 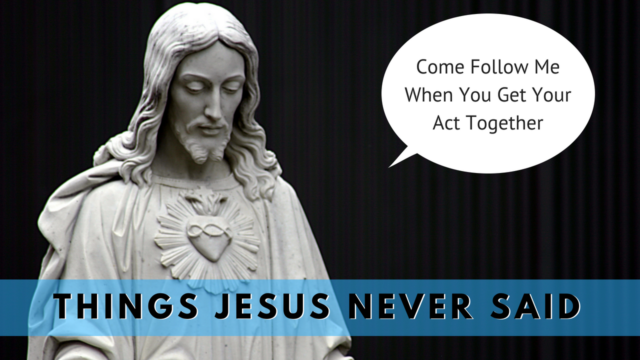 What does it mean to you to follow Jesus? 2. What are some of the “Follow Me” moments in your life? A time you’ve said yes and stepped out of the boat? 3. Can you think of a time you’ve heard God’s prompting? Was that voice a whisper or a roar? 4. What are some of the things that hold you back from saying yes to God?